So far, diabetics have had to resolve to getting insulin through multiple injections daily (or through a insulin pump). All diabetics have been taught to eat a “heart healthy” low-fat diet, with a lot of carbohydrates and they learn to adjust the amount of insulin needed to keep their blood sugar within reasonable limits. They never get to the same blood sugar control as a person with a functioning pancreas of course, but with practice many get really good at keeping it in check. Having diabetes also automatically raise the risk for comorbidity – that is having other diseases. The most commonly associated ones are cardiovascular diseases – i.e myocardial infarction, micro-vascular dysfunction that leads to kidney failure, poor eye sight because of bad circulation in the retina and poor leg circulation leading to difficulties healing wounds and sometimes needing to amputate toes, feet or a whole leg because of ischemia (oxygen deficiency). These diseases occur because sugar have tendency to react with proteins and make them dysfunctional. The more of the changed proteins you have, the more inflammation, because that’s how the body tries to deal with them. Inflammation is good when it’s kept in check, but it is also damaging for the tissues. Of course, not everyone with diabetes will succumb to these diseases, but the risk a lot higher than for an average person without diabetes. It’s pretty easy to understand that having a normal regulation of blood sugar is the pivotal point here. If you don’t have diabetes or any problems with blood sugar regulation you never have to worry about what will happen to the sugar, your body just handles it. But when having diabetes you have to become your pancreas and figure out just how much insulin is needed to get the sugar into the cells, but not lower it too much, a tricky balance. I find it really interesting that diabetics are told to eat a diet high in carbohydrates and low in fat, since it is the sugar that is the problem. It doesn’t matter if you eat a spoon of sugar or a “low-GI” carbohydrate, it will all become glucose in your blood. There is a bunch of different versions of insulin for injections, and they all have their different profiles of how they affect blood sugar. Most of the ones taken with a meal are fast and short acting, with an effect that lasts for two to five hours. It can be tricky to know just how much insulin is needed to end up in a good range. A case study (that is one person has been studied) has been published in the International Journal of Case Reports and Images (1). It shows how a young 19-year old man, newly diagnosed with diabetes, goes from a standard, conventional diabetes diet – 6 meals daily, containing about 240 grams of carbohydrates. He had a hard time keeping his glucose levels in check, fluctuating between 68 to 267 mg/dL (normal is considered below 140 two hours after a meal, but most healthy people are lower than that). 20 days after being diagnosed he shifted to a low carbohydrate diet, in this case a paleolithic ketogenic one. He consumed meat, organ meat, fish, fowl, eggs and fat and very small amount of vegetables. He did not eat oils of plant origin, milk products, sugars or artificial sweeteners. From the first meal he discontinued insulin, because his glucose levels never went high enough to take it! 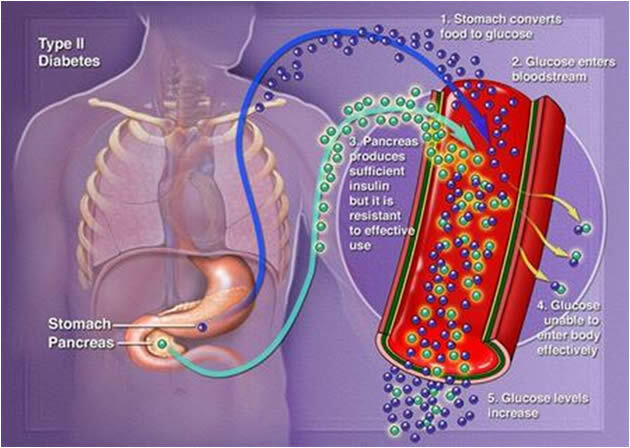 As he continued the diet the pancreas seemed to restore it self and insulin was continuously being produced. This was measured through a protein called C-peptide, which is cut of from the insulin as it is released into the blood stream and it correlates to insulin levels in the body. He had been on a ketogenic diet for 6,5 months when the report was published, and he was still doing well, with low/normal glucose levels and he was not experiencing any side effects. When having diabetes in a young age, there is usually auto-antibodies, directed towards the cells producing insulin in the pancreas, and so was the case for this man as well. It seems his diet has not only kept him of insulin but also halted the auto-immune process, because the levels were unchanged four months after starting the diet. This is a case study and you can’t draw to many conclusions from it when it comes to looking at the whole community of diabetics. Some might not have any insulin production left for example. From my clinical experience and from other observational studies, it seems that lowering the carbohydrate intake does help people with diabetes to manage their blood glucose levels and also get off blood sugar regulating drugs and lower their need for insulin. And that’s all we want in the medical profession. We want our patients to have a well regulated blood sugar and with as little insulin as possible, because we know that’s how they can stay healthy for as long as possible. I actually have a type 1 diabetic patient in my clinic that just have made the shift from a standard diabetic diet to a low carbohydrate one, and she’s experiencing some amazing results! How about getting of insulin completely three days into the diet, after being on both a long- and short-acting one for 25 years? Keep a look out on my blog for more about her! I think we are moving towards a big shift in how we look at diseases like diabetes. There is so much more that can be done than just resorting to insulin injections! Hopefully this and other case studies will push the science towards a more open mindset and allowing individualized treatment that might, or might not contain insulin or other drugs. I am convinced that what we eat affects our bodies, and cases like this make it pretty apparent. From my perspective it also feeds my conviction that we all are best of with as little sugar (that includes all carbohydrates) as possible in our diets. Type 2 diabetes is on the rise, and it is seems to be connected with our high carbohydrate, low fat and no exercise life styles. I’m not going to wait for the medical community to catch up. Do your own research, read up on the human physiology and it will speak for itself! Diabetes – when blood sugar regulation goes bananas. I think most of you have heard about diabetes. It’s a disease where the body can’t handle sugar anymore, for various reasons. There are two main types of diabetes – type 1 and 2. Type 1 is inherited and not dependent on lifestyle. It’s associated with an auto-immune reaction, where antibodies are directed against the cells responsible for producing insulin in the pancreas. They get destroyed and the body can no longer produce the hormone. To survive, insulin needs to be added through shots or infusions. Type 2 depends on lifestyle factors and is therefore avoidable to a great extent. It starts of with something called insulin resistance – a condition where the normal signalling from the insulin receptors is jammed for various reasons. Why this occurs is still not fully understood but research is pointing toward free fatty acids being a big part of the problem (1). There is also evidence showing that leptins and other hormones and substances from the fat stores in the body has a blocking effect on the insulin receptors. Not all people with insulin resistance develop diabetes, there is also a genetic variability of how much the pancreas can take. The increased urination frequency is related to the osmotic pull of water with the sugar/glucose into the urine. Usually there are mechanisms to clear glucose from the urine, but when the levels rise it overflows the system. Through this mechanism the body loses water, and water intake increases. The body signals starvation, since the energy from the glucose can’t be used in the cells, fatigue ensues and hunger increases. Usually insulin resistance has been present many years before symptoms of diabetes occur. 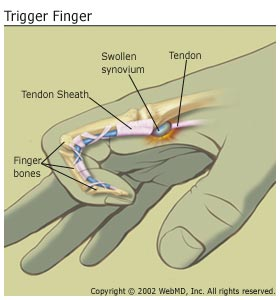 This condition is asymptomatic in the medical sense, but when looking at it from a different angle there are some signals to be aware of. Increasing weight/obesity, is a sign of high levels of insulin, since that’s the main anabolic hormone. Fat will be stored around the waist, because of these cells high metabolic activity and therefore easiness to recruit energy. Sugar cravings, increased hunger and mood swings can be a sign of difficulties handling carbohydrates. In traditional western medicine there are no really good ways to measure insulin resistance and when people are diagnosed with diabetes they have been on the downward slope for a long time, probably decades. We know insulin is an anabolic and anti-catabolic hormone that closely regulates blood sugar levels but also controls fat metabolism. As long as insulin stays high, fat stores can never be utilized for energy and the body will keep storing sugar as fat and glycogen in the muscles. This is why people with decreased insulin sensitivity gains weight and the weight gain reduces the sensitivity even more. The way out is lowering insulin, through lowering the carbohydrate. aka the sugar. When the insulin levels drops, fat stores are activated to get energy. And if the insulin levels stays low the body can switch over to run on fats. Insulin will still be needed to keep the metabolism in check, but not nearly in the same levels as when trying to clean the blood stream from glucose after a carbohydrate meal. Cutting down on the carbs is the first and best thing anyone can do for their long-term health. Long before any symptoms occur. It does not only lower the risk for diabetes but also for many other life style diseases. Many people also report an increased mental health and more stable emotional life. It’s clear that keeping your blood sugar levels low and through that your insulin levels low will be beneficial for you in many ways. Insulin – the key to the sugar door. Insulin is a hormone, a protein that is built in the beta-cells of the pancreas, a gland located in the upper part of the abdomen. Insulin is continuously made and stored in special vesicles (little storage bubbles in the cells), ready to be released into the blood on certain stimuli. 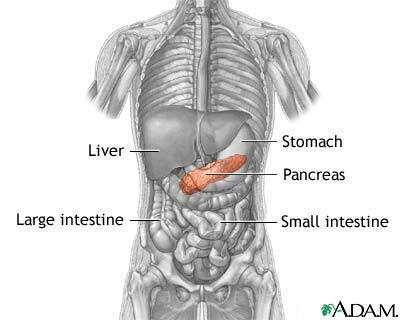 The level of glucose in the blood is the main signal for releasing insulin from the pancreas. Protein, or more correctly amino acids, the break down products of protein in the food, will also trigger the release of insulin, but not in the same amounts. When blood glucose rises, after a meal, the glucose will be taken up by the cells in the pancreas and through a complex signal pattern, insulin will be released into the blood stream. Insulin will facilitate the uptake of glucose by binding to special receptors that are located on cells all over the body. This binding will signal to the cell to bring channels (that are packed away in the cell) to the cell wall to transport the glucose into it. Insulin brings out the glucose transportation channels. Most cells in the body have these channels, and they are most abundant in muscle and fat cells. Insulin also promotes the storage of energy by signaling to the muscle cells to convert the glucose to glycogen and to the fat cells to make triglycerides (fat). Insulin is needed for the uptake of glucose into the cells, without its signals the channels won’t reach the cell membrane and glucose remains outside, in the blood stream. Some glucose will still be taken up by muscle, when exercising, because using the muscles will have the same effect as insulin on the cells, but in much lesser extent and not enough to clear the blood stream after a full meal.